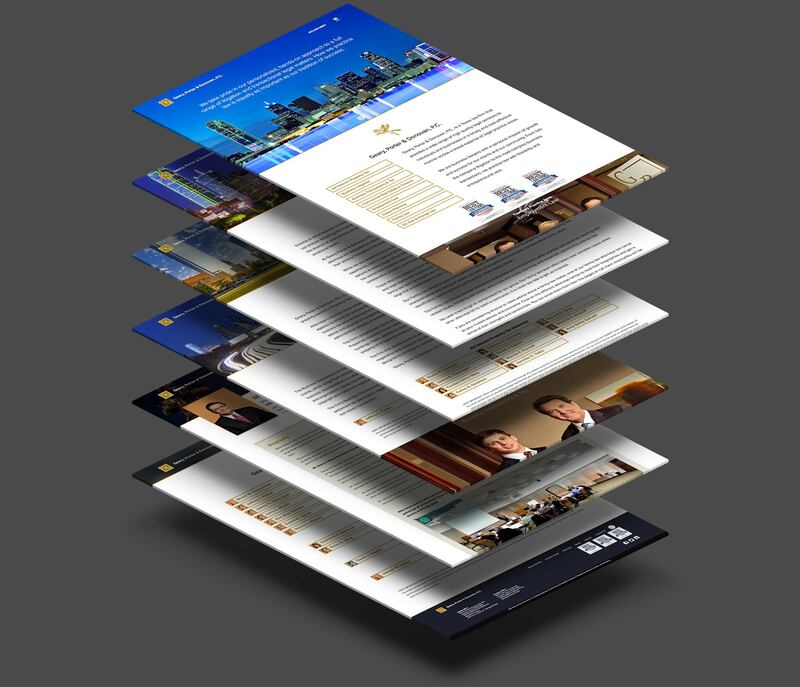 Texas Law Marketing asked Bill and I to design a complex website for Geary, Porter & Donovan, P.C. a full service law firm that operates in multiple disciplines. We created a highly flexible custom theme that remains visually consistent yet allows for layout variety between different practice area groups. The stacked elements of a multi-section homepage allow you to display a large amount of content while still keeping the page clean and uncluttered. This design also makes content easier to read and navigate through on different devices. Most websites are multi-purpose, providing users with a variety of different functions and displaying a range of content on one single site. To accomplish these diverse objectives, several unique page layouts are designed. 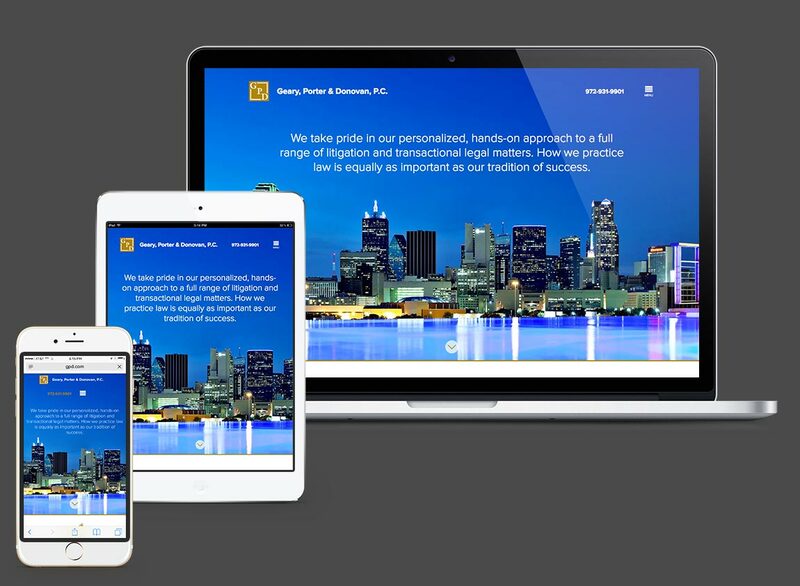 Responsive sites adapt to different devices, providing an optimal experience for every user and eliminating the need for separate desktop and mobile sites. The principles of design—balance, contrast, proportion, emphasis, unity, rhythm—are the basis of all visual design work, however the application of a given design is often an iterative process between client and designer. Mobile users not only navigate a site differently than desktop users, they also often access different content on the site. Therefore, it’s essential to design a custom menu for mobile users, based on their distinct needs. © Copyright 2019 Duane Smith Design. All rights reserved.